That’s right, the most famous musician you’ve never heard of…. 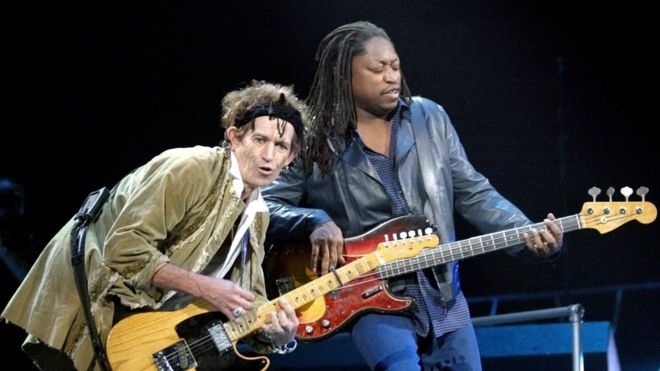 He’s been playing bass for The Rolling Stones for the last 30 years, after Bill Wyman left the band. Mike Campbell is one of my favorite slide guitar players. 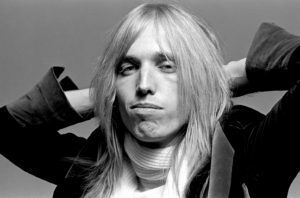 He’s best known for his work as a Heartbreaker in Tom Petty and the Heartbreakers, however, he’s played with some of the best musicians in the world on numerous projects, writing songs for Don Henley, Fleetwood Mac, Johnny Cash, George Harrison and Bob Dylan, to name a few. 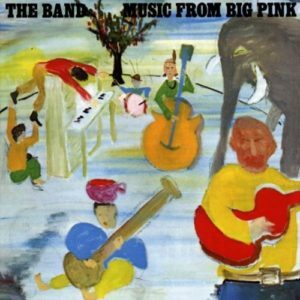 If you don’t know The Band, take a look at “Music from Big Pink” and “The Last Waltz”. 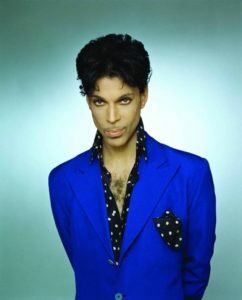 His genre-crossing groove has earned him both the recognition – a Congressional Record for his contributions to the worldwide music community, for one – and the boundary-busting respect of his peers, illustrated by his current appearances on two hit records as diverse as Andrea Bocelli’s Passione and Daft Punk’s Random Access Memories. East keeps it in the family with one of four co-written songs on the album, “101 Eastbound,” a tune penned along with brother Marcel East. 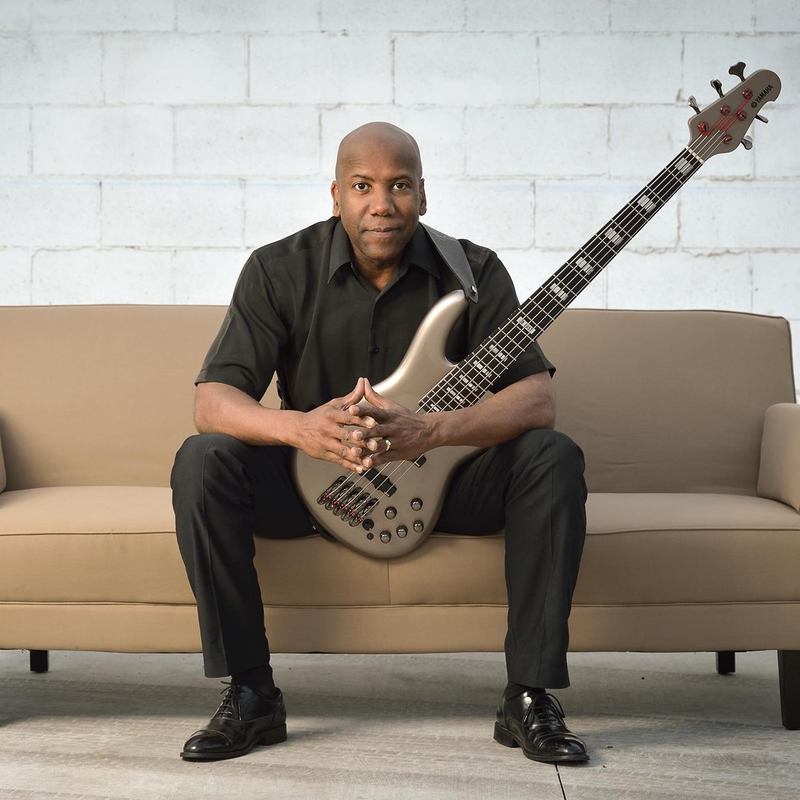 Originally released over 20 years ago on Fourplay’s debut album and newly imbued with an exotic flair, the track captures the vitality of East’s diverse range. East admits, he’s been blessed with a gift. And it’s one that we’ll gladly accept. 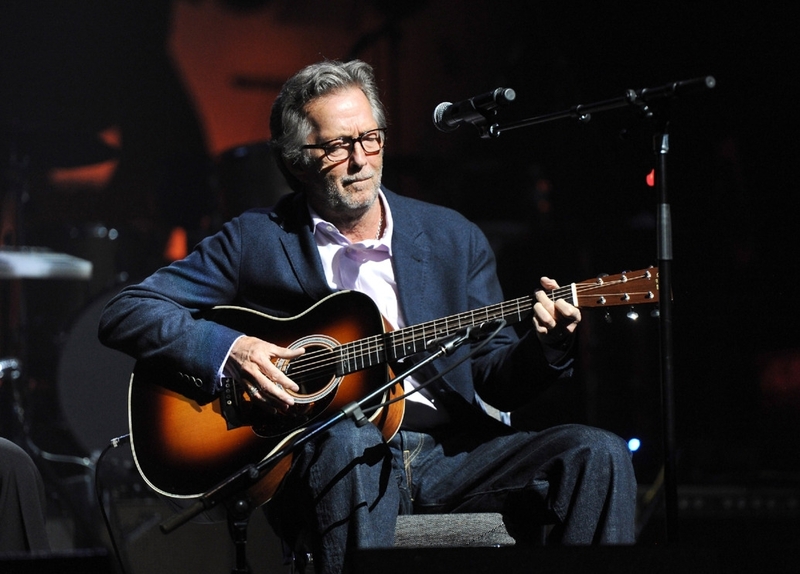 My daughter Chloe just recommended that I post Eric Clapton as artist of the month because she knows how much I love his music! No kidding! 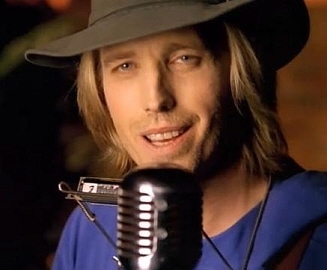 I can’t believe he wasn’t the first person I posted as Artist of the Month! The first time I saw Keb’ Mo’ play was on the 2013 Crossroads festival DVD. 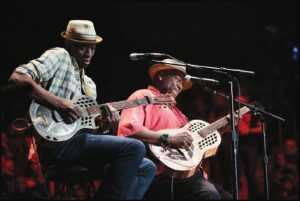 The photo above is Keb playing with Taj Mahal, who sang “Diving Duck Blues”. I had the pleasure of seeing Keb’ Mo’ play in Portland, ME not too long ago. I had the pleasure of seeing Jimmie play at the Bull Run Restaurant in Shirly, MA this year. It was the first time I had front row seats to a show. He was nothing short of amazing! Keith Richards’ first solo album since 1992 opens like a fever dream, with the 71-year-old rock god croaking acoustic blues like Robert Johnson after burning down a half-ounce spliff. But it’s a feint. 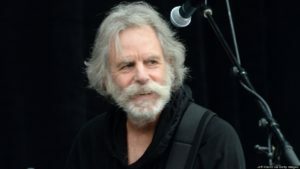 “All right, that’s all I got,” he snaps just under two minutes in, before upshifting into his most eccentric and best-ever solo set. 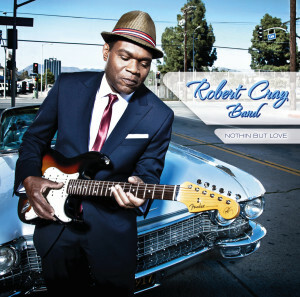 Crosseyed Heart is the sound of Richards following his pleasure wherever it leads, with a lean, simpatico team including longtime session pals Steve Jordan, Ivan Neville and Waddy Wachtel backing him up all the way. Naturally, there’s a dip into roots reggae: Gregory Isaacs’ 1974 lovers’ rock signature, “Love Overdue,” complete with brass and Neville’s sweet backing vocals. 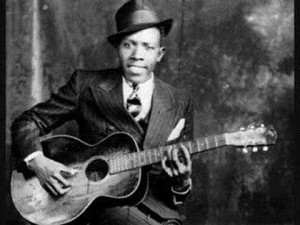 There’s also a straight read of “Goodnight Irene,” a folk standard that Richards likely heard as a kid when the Weavers’ version charted in 1950. 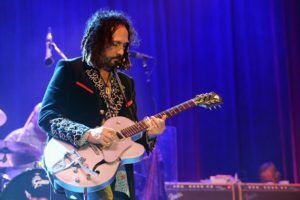 Two originals are as strong as any Stones songs of recent decades: “Robbed Blind,” a “Dead Flowers”-scented outlaw-country ballad that echoes Merle Haggard’s “Sing Me Back Home,” and “Trouble,” all hiccup-riff swagger with a slide-guitar mash note from Wachtel to ex-Stone Mick Taylor. 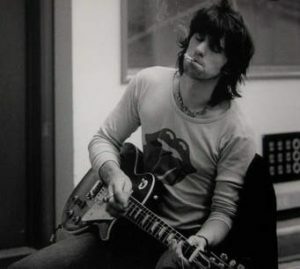 There’s a charmingly cheeky duet with Norah Jones (“Illusion”), and some beautifully telling moments (see “Amnesia”) where Keith’s guitar is nearly everything — his sublime grooves sprouting melodic blooms and thorny leads. It’s proof that, at core, dude’s an army of one. 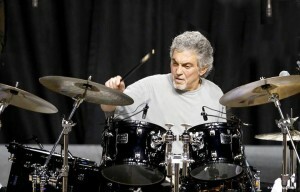 A well-respected drummer who has appeared in many types of settings in many genres, Steve Gadd’s impressive technique and flexibility have been influential during the past 20 years. 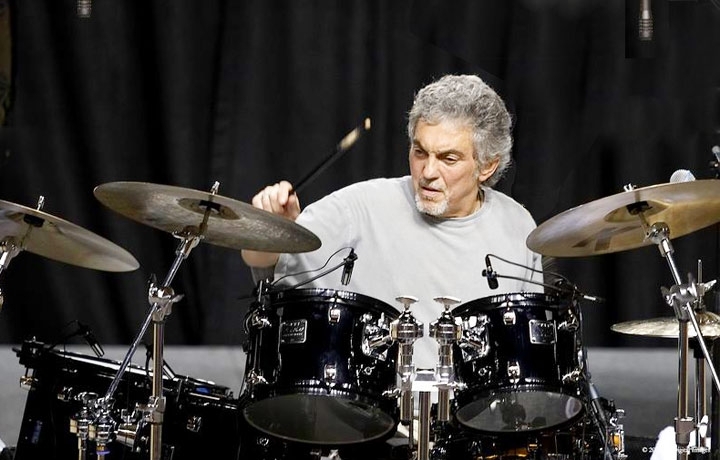 He started playing drums at the age of three, sat in with Dizzy Gillespie when he was 11, and after extensive study and a stint in the Army, Gadd became an important studio drummer beginning in 1972. Among his more significant jazz associations have been with Chick Corea (starting in 1975), Bob James, Al DiMeola, Tom Scott, Grover Washington, Jr., David Sanborn, the group Stuff, the Manhattan Jazz Quintet, and his own impressive band (the Gadd Gang) which recorded for Columbia in 1986 and 1988. David Bowie was born in South London’s Brixton neighborhood on January 8, 1947. His first hit was the song “Space Oddity” in 1969. The original pop chameleon, Bowie became a fantastical sci-fi character for his breakout Ziggy Stardust album. 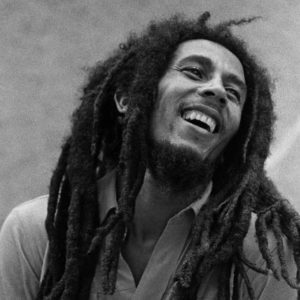 He later co-wrote “Fame” with Carlos Alomar and John Lennon which became his first American No. 1 single in 1975. 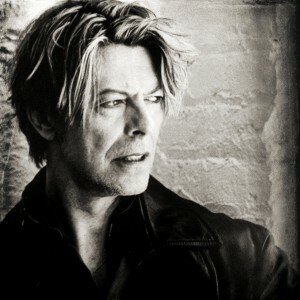 An accomplished actor, Bowie starred in The Man Who Fell to Earth in 1976. He was inducted into the Rock and Roll Hall of Fame in 1996. Bowie died on January 10, 2016, from cancer at the age of 69. I don’t know what to say…. 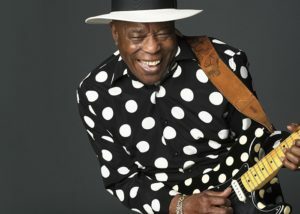 One of the best slide players on earth. It’s that simple. 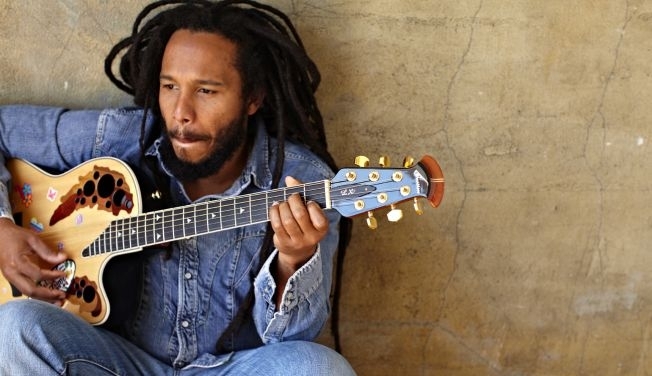 Please, look him up and hear his music. This is a photo of Derek with his wife, Susan Tedeschi. They are the Tedeschi Trucks band. 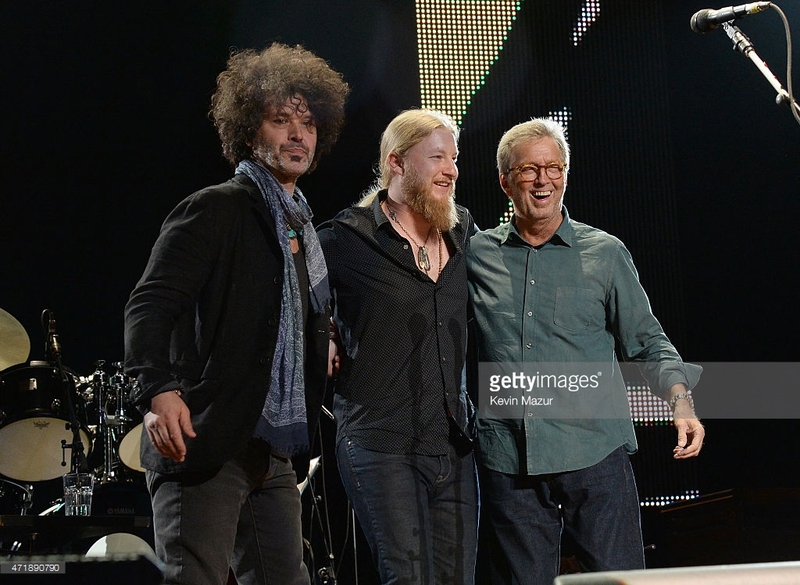 performs at the Eric Clapton’s 70th Birthday Concert Celebration at Madison Square Garden on May 1, 2015 in New York City. 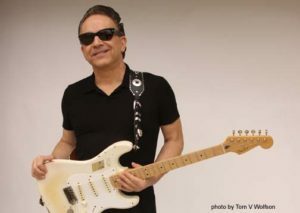 In 2013, he opened Eric Clapton’s shows with his band the Lowriders on Clapton’s European tour and, later that year, Fairweather Low & the Lowriders released the album, Zone-O-Tone. In April 2013, he appeared at the Eric Clapton Guitar Festival Crossroads in New York and featured on two tracks of the DVD of the concert. On 13-14 November, he was also part of Eric Clapton’s band on the occasion of Clapton’s two concerts during the “Baloises Sessions” in Basel, Switzerland where he was featured singing Gin House Blues. Growing up in Perth-Andover, you learn a thing or two about the tough grind. 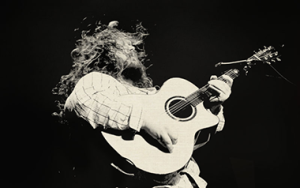 The family-oriented, blue-collar community is home to singer-songwriter and guitarist Matt Andersen. While manual labour wasn’t his calling, hard work is something you pride yourself on growing up in a small-town. 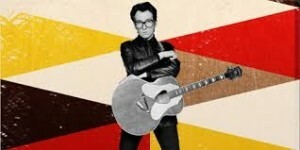 Having played over 200 shows in 2012, his work ethic has never been questioned. Matt’s narrative-driven writing cuts through the soul, blending blues and folk, encompassed in total honesty. He takes listeners on a ride with his diverse musical styles, skilled guitar work and over-the-top showmanship. Matt’s intimate, high-energy performances have captivated audiences across the world, from Canada, to the US, to Australia and the UK, from small clubs to festivals. In 2011 Matt released Coal Mining Blues, produced by Colin Linden. 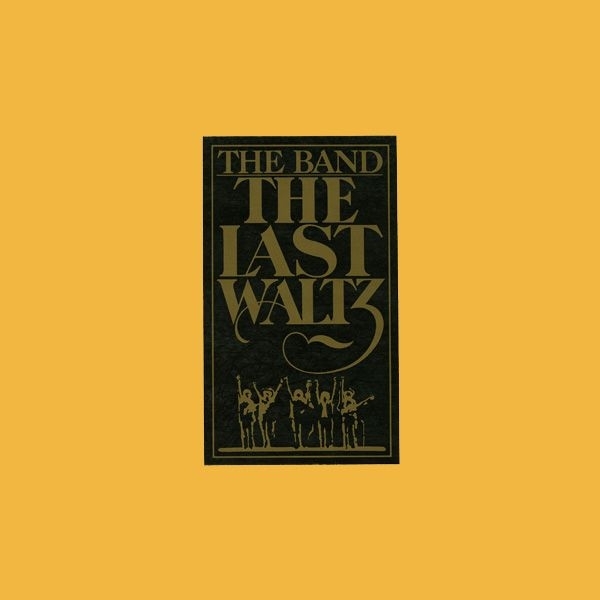 The album was recorded at the Levon Helm Studios in Woodstock, New York and features keyboardist Garth Hudson (The Band) and singer Amy Helm (Olabelle). 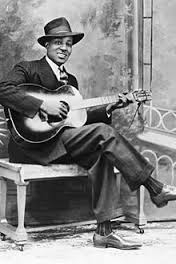 The songs delve into the lives of the working class and the bonds he shares with mining communities, family and friends back home. The moving title track paints a clear picture of the blood, sweat and tears of a backbreaking trade. 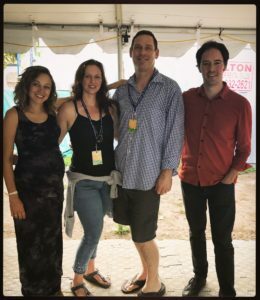 “I’m not trying to change anyone’s lives in a big way, but I love it when [listeners] really get involved in the music,” says Matt, who won three 2012 Maple Blues Awards and received a British Blues Award nomination, among many others. 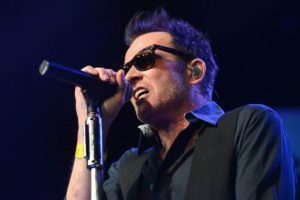 “When people get involved, it really makes it a great night — for everyone.” Through his exhilarating performances and connection to his audience, Matt continues to work hard and tell the stories he was born to tell. Bramhall II was raised in a home filled with the blues and rock & roll sounds that are indigenous to Texas; the state of his birth. 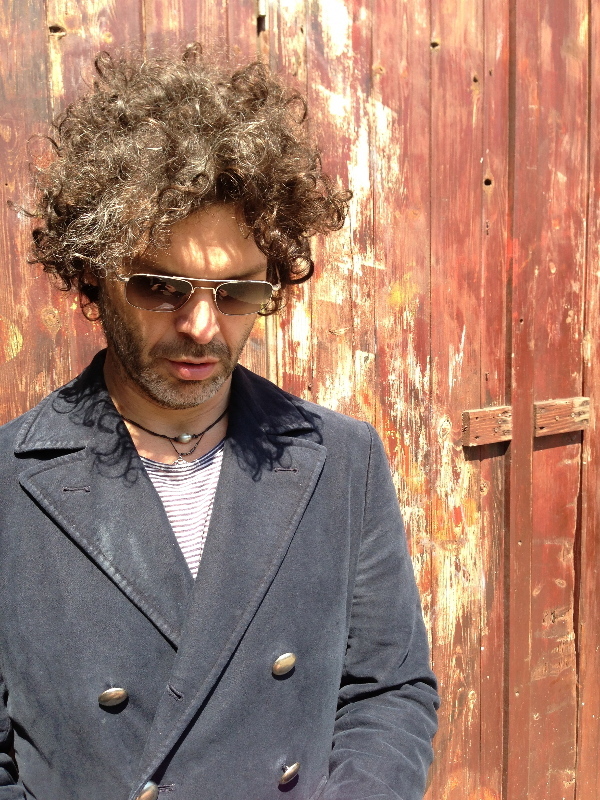 His father, Doyle Bramhall, played drums for blues legends Lightning Hopkins and Freddie King and was also an accomplished songwriter and vocalist. 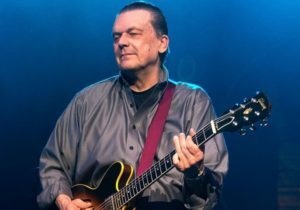 Bramhall was a life long collaborator with childhood friends, Stevie Ray and Jimmie Vaughan, composing such signature classics as “Change It” and “Life By The Drop”. 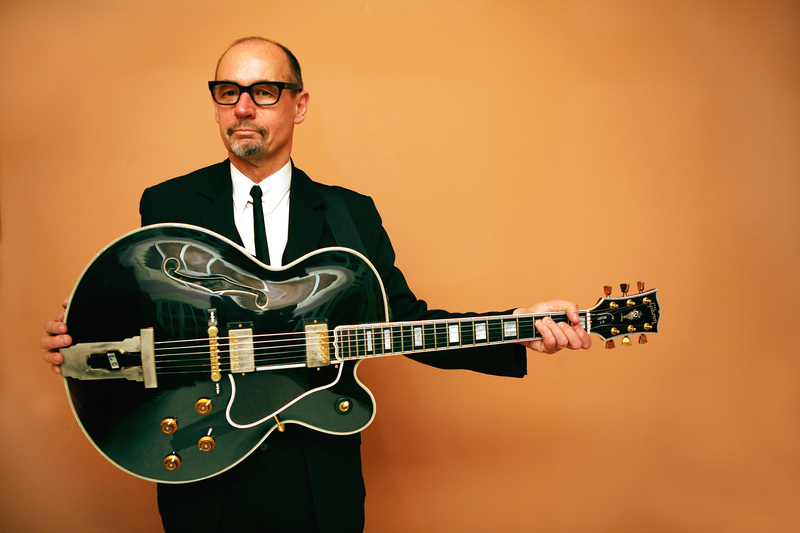 When Doyle was 18, he was recruited by Jimmie Vaughan to play with the Fabulous Thunderbirds. 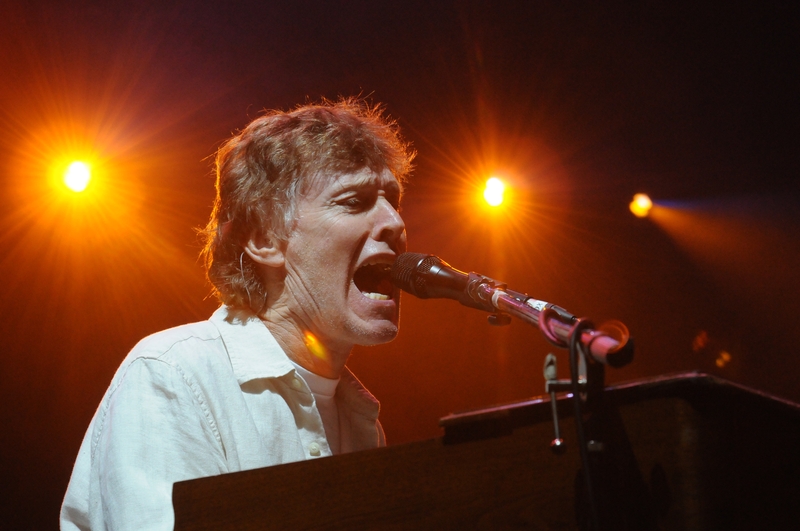 Bramhall II’s reputation blossomed and two years later, he co-founded the Arc Angels with Charlie Sexton and Stevie Ray Vaughan’s rhythm section; Chris Layton and Tommy Shannon. Their self-titled debut album, fueled by such popular songs as “Living In A Dream” and “Sent By Angels” enjoyed wide success. 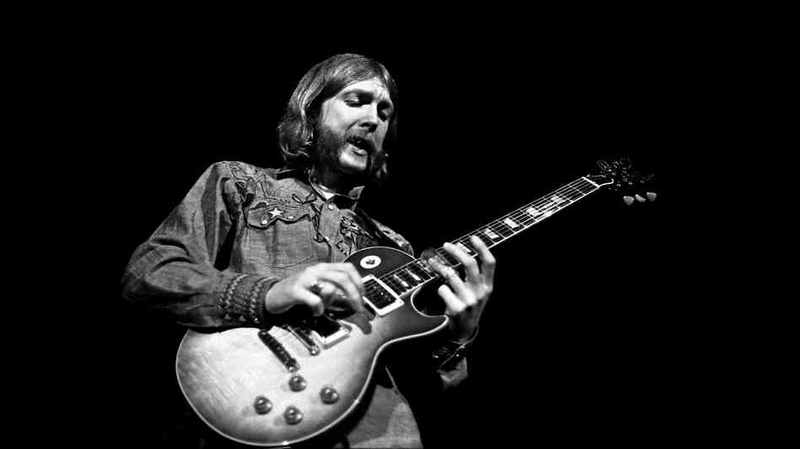 In the aftermath of two critically acclaimed solo albums Jellycream and Welcome, Bramhall II’s unparalleled skills as guitarist won the attention of both Eric Clapton and Roger Waters. 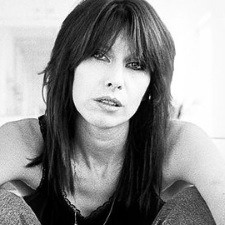 Waters showcased the guitarist on his In The Flesh tour and accompanying album. Eric Clapton featured Bramhall II’s songs and guitar work as part of Riding With The King, his Grammy winning project with B.B. King. Clapton then recruited Bramhall II to join him on a full time basis and their association flourished. The guitarist toured with Clapton throughout the world and their dramatic interplay thrilled fans and immediately drew comparisons to past triumphs such as Derek & The Dominoes. 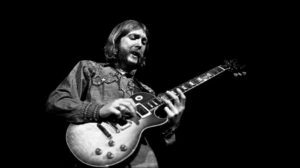 Bramhall II’s distinctive guitar work—he is a left handed player who plays a right handed strung guitar flipped upside down—left an indelible mark on Clapton albums such as Me And Mr. Johnson and Searching For Robert J. 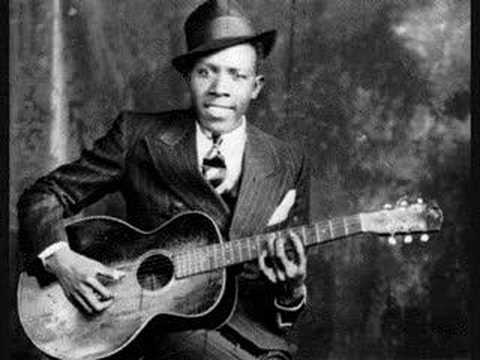 Both projects were highlighted by Bramhall II and Clapton stirring duets in the same Dallas room where Robert Johnson had originally recorded his legendary songs in 1937. Bramhall II songwriting prowess would also be featured as part of Reptile, Back Home and Road To Escondido. He would next co-produce Clapton’s two most recent albums, Clapton and 2013’s Old Sock. 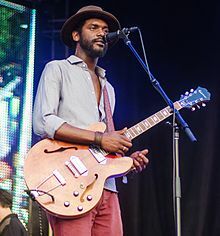 Gary Clark, Jr. (born February 15, 1984) is an American guitarist and actor based in Austin, Texas. 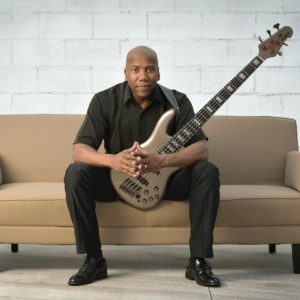 Clark shared the stage with various legends of rock and roll, and has stated that he is “influenced by blues, jazz, soul [and] country, as well as hip hop”. 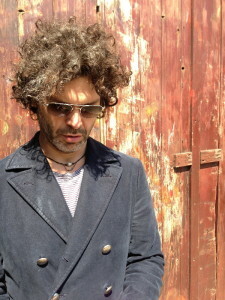 Clark’s musical trademarks are his distorted guitar sound and smooth vocal style. Clapton tribute to B.B. King – classic! 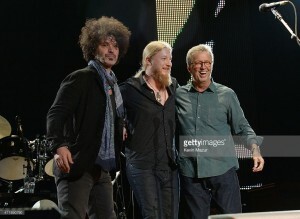 Going to the Tedeschi Trucks show at Meadowbrook in July!